This fully wearable suit is loosely based on the famous #13 harness housed in the Castle of Churburg, located in Italy's South Tyrol region. 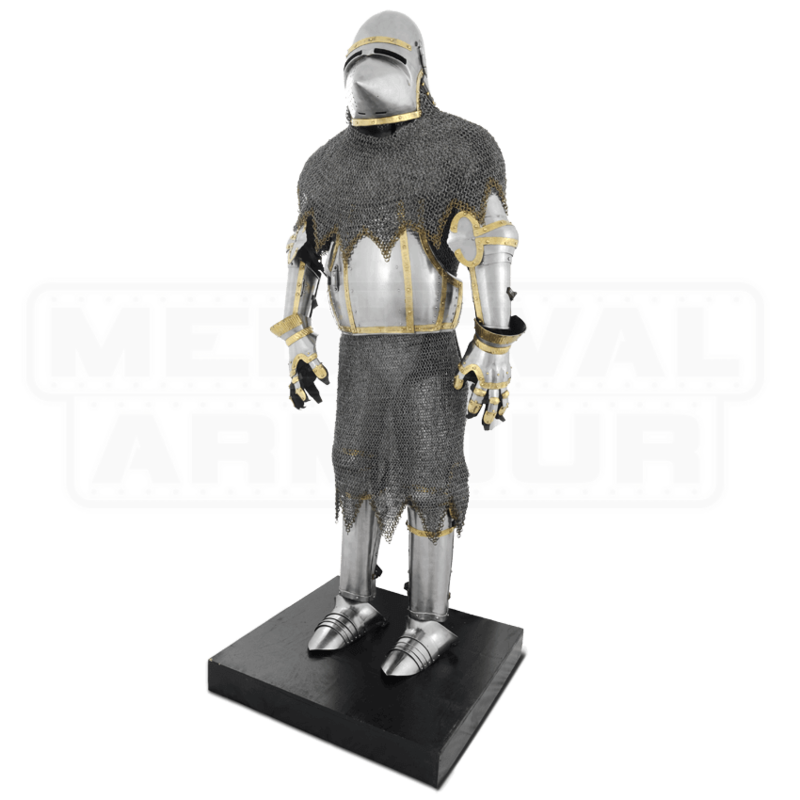 Believed to have been made in Milan by armorers of the Missiglian family during the second half of the 14th century, this high quality armour is one of the earliest known examples of a near-intact harness. This armour typifies a period when the traditional mail coat, reinforced with varying degrees of plate protection, was still predominant on the battlefields of Europe and predates the full plate suits of the 15th century. 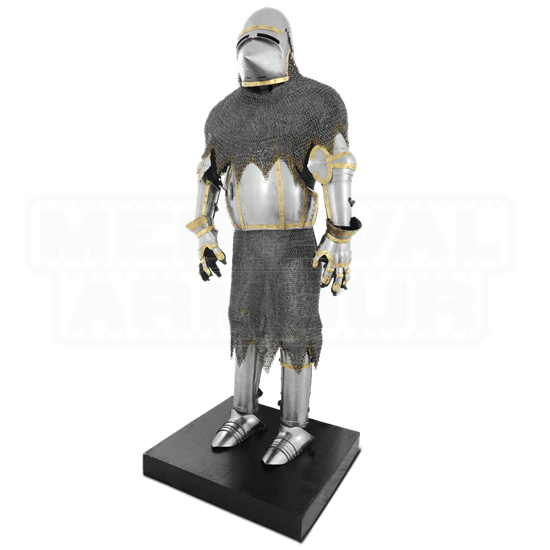 Our Churburg armour is fully articulated and wearable and boasts many of the features found on the original suit. Many of the individual steel plates that make up the breastplate (which has a lance rest attached to the right hand side) and arm-harness are bordered with decorative etched brass strips.